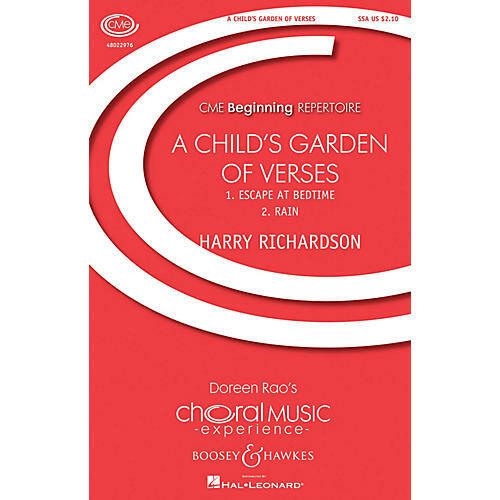 Composer Richardson has chosen two poems by Robert Louis Stevenson from his set of six A Child's Garden of Verses. The first, Escape at Bedtime conveys the sense of wonder experienced by a child looking up from his bedroom window at a universe of stars. In the second piece in this set of two, Rain, the composer creates an aural rainstorm that will be fun for your singers as they experience this vivid, musical word painting. Duration: ca. 4 minutes 10 seconds.